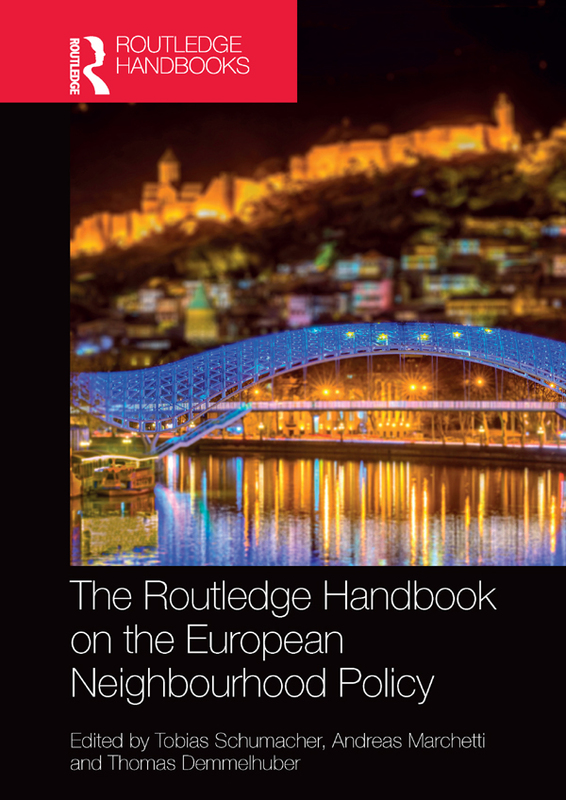 The Routledge Handbook on the European Neighbourhood Policy provides a comprehensive overview of the EU’s most important foreign policy instrument, provided by leading experts in the field. Coherently structured and adopting a multidisciplinary approach, this handbook covers the most important themes, developments and dynamics in the EU’s neighbourhood policy framework through a series of cutting-edge contributions. With chapters from a substantial number of scholars who have been influential in shaping the study of the ENP, this handbook serves to encourage debates which will hopefully produce more conceptual as well as neighbourhood-specific perspectives leading to enriching future studies on the EU’s policies towards its neighbourhood. It will be a key reference point both for advanced-level students, scholars and professionals developing knowledge in the fields of EU/European Studies, European Foreign Policy Analysis, Area studies, EU law, and more broadly in political economy, political science, comparative politics and international relations.